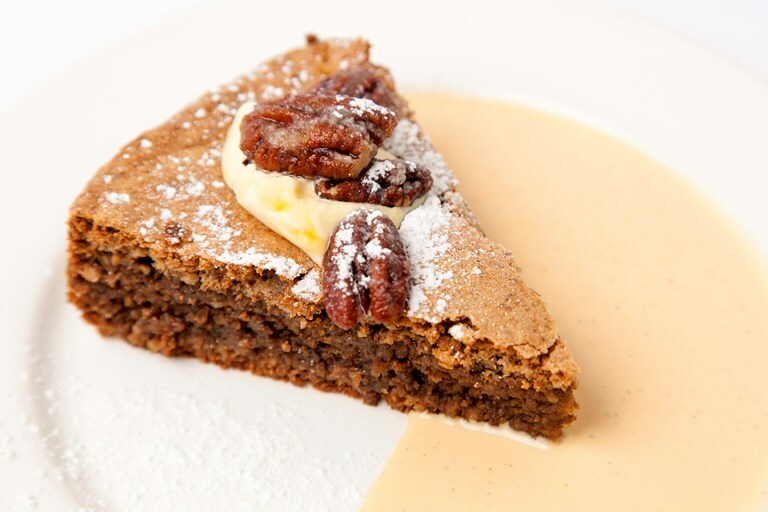 Jeremy Lee's chunky walnut cake recipe is topped with sticky-sweet candied pecan nuts and served with both warm vanilla custard and a generous scoop of clotted cream – perfect for those who find it difficult to choose between the two! Using coarsely chopped walnuts in place of flour makes this gluten-free cake a fantastic dessert to serve those with wheat intolerance. Serving the cake without custard or cream would make it dairy-free, too.